Competing on the Pro Bowlers Tour for 22 years, Aleta Rzepecki-Sill was the first woman bowler to earn $1 million in a career. From 1980 to 2001, Rzepecki-Sill won a total of 31 LPBT-PWBA tour events, including the U.S. Open in 1994 and 1998. She was the LPBT-PWBA prize money leader six times, from 1983-86, and again in 1993 and 1994, while being named as a WIBC All-American on eight separate occasions. 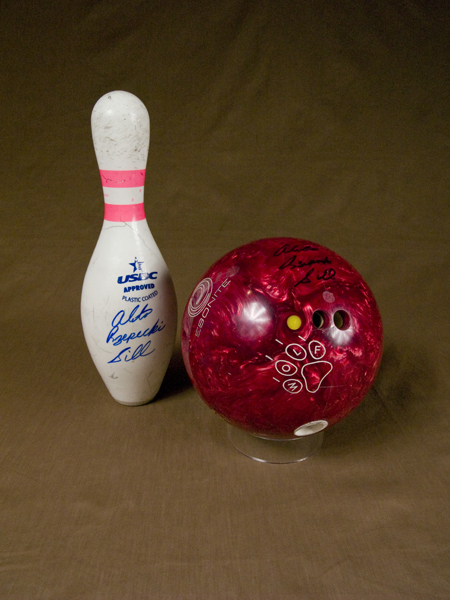 Aleta was chosen by her peers as the tour’s “Player of the Year” in 1984, and was selected by the Bowling Writers Association of America as “Bowler of the Year” in 1984 and 1985. She is the only bowler, male or female, to win pro bowling’s Triple Crown twice. She has rolled 31 perfect 300 games, and a high series of 815. She was elected into the Professional Women Bowlers Association Hall of Fame in 1998. 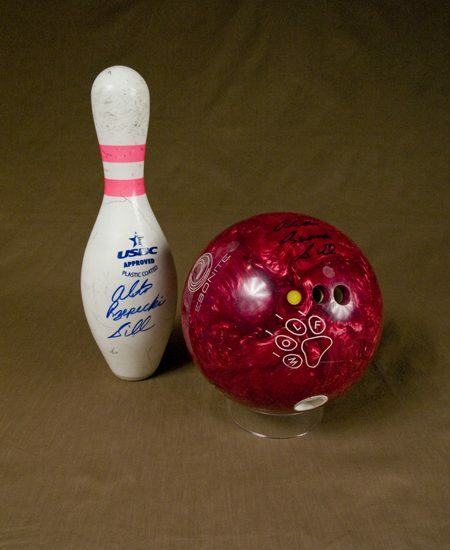 Being the first woman to make $1,000,000 rolling a bowling ball is Aleta Rzepecki-Sill’s most authentic accomplishment in women’s sports history. To know that early in her career she claimed $3000 for first place is to know that she bowled really well, for a long period of time. Coached by Joe Naso and bowling in the typical Saturday morning youth league, this 14 year-old talent was inspired when Naso took her to watch the professional women’s tour that stopped in town for a tournament in 1976. That’s when Rzepecki decided she wanted to be a professional bowler. Unlike other sports where you are recruited to a college team and are scouted onto a professional sports team, Rzepecki took the only route available to begin one of the most prolific careers in sports. She joined the WPBA (Women’s Professional Bowlers Association) in 1980, at 18 years old. “I just wanted to bowl; I had no expectation,” says Rzepecki-Sill. Sill’s maternal grandparents, Adeline (Szczawnski) and Steve Zuke, paid her early entry fees for her to seize the opportunity to bowl against the best bowlers in the world. At 18, she finished 11th in her first pro tournament at North Hill Lanes in Rochester, MI. Rzepecki went on to win her first tournament in 1981. But, 1982 was not a good year. “I thought about whether or not this was what I wanted to do.” Sill continues, “I spoke with (fellow competitor, Dana Miller-Mackie’s mom) Dee Miller, and she said, ‘Why don’t you just give it one more year? Once the year is over, take a look at your bank account and analyze the year and see what it looks like to you.’ Miller added more advice, ‘Say this in the shower everyday: I am a fantastic bowler, I accomplish all my goals with ease, God will take care of all else for me.’” That was the year Aleta Rzepecki won her first major, the WIBC Queens, and was the LPBT Runner-Up Bowler of the Year, at age 21. Rzepecki then paid back her grandparents and backed herself on tour, which included travel, hotel, food, equipment and entry fee expenses, with no guarantee of earnings. Aleta Rzepecki-Sill is now a member of 7 Halls of Fame, and is the youngest to be inducted into the WIBC National Hall of Fame, at age 33. Sill is also the only bowler, man or woman, to win bowling’s “Triple Crown” twice. She was named a Detroit Dream Team Legendary Athlete, along with Red-Winger, Gordie Howe and Boxing Champion, Joe Louis. In her 21-year career, Sill bowled 31 perfect 300 games, nine 800+ 3-game series and won 31 Professional Titles. Sill was Bowler of the Year in 1984 & 1985 and was a BJ, Woman Bowler and WIBC All-American from 1983-86, and again from 1994-1998. Sill was on the Ebonite Pro Advisory staff for 13 years.